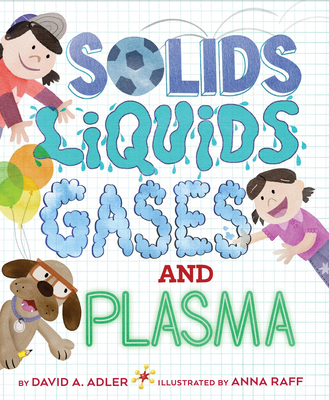 Explore physics in this early introduction to the states of matter, starring a goofy dog and his all-too-human family. Zippy art and clear explanations introduce the basic characteristics of four states of matter and how they change from one state to another. Totally up-to-date, this book for elementary school children includes plasma, now covered in all curricula. Straightforward text presents the facts and Raff's infographic illustrations demonstrate the science and tell a humorous story. There are hands-on activities, such as using a chocolate bar to demonstrate material consistency and using a balloon to prove gases have weight, to reinforce the learning. A glossary defines density, plasma, vapor, and more essential terms. David A. Adler is a former math teacher and author of more than two hundred picture books, biographies, and mysteries for children. His Cam Jansen books have made him a household name. He lives on Long Island. Anna Raff has illustrated, designed, and written many books for children. She lives in New York City.